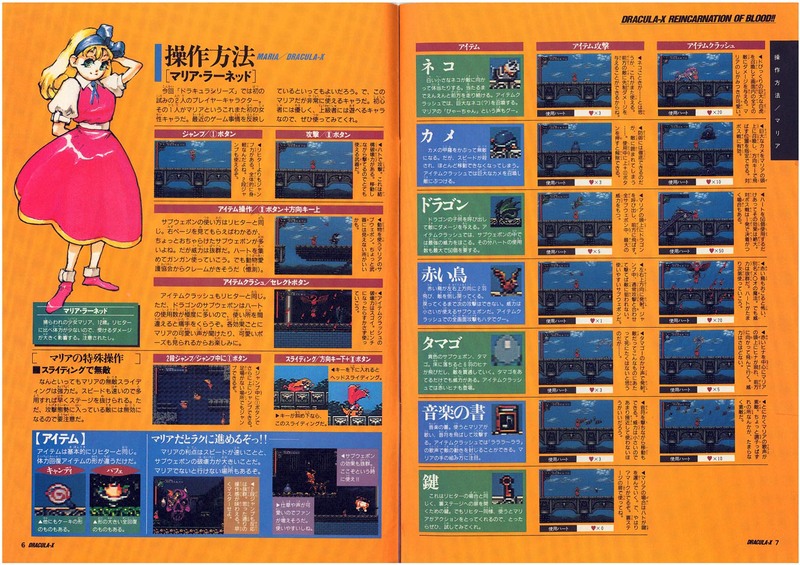 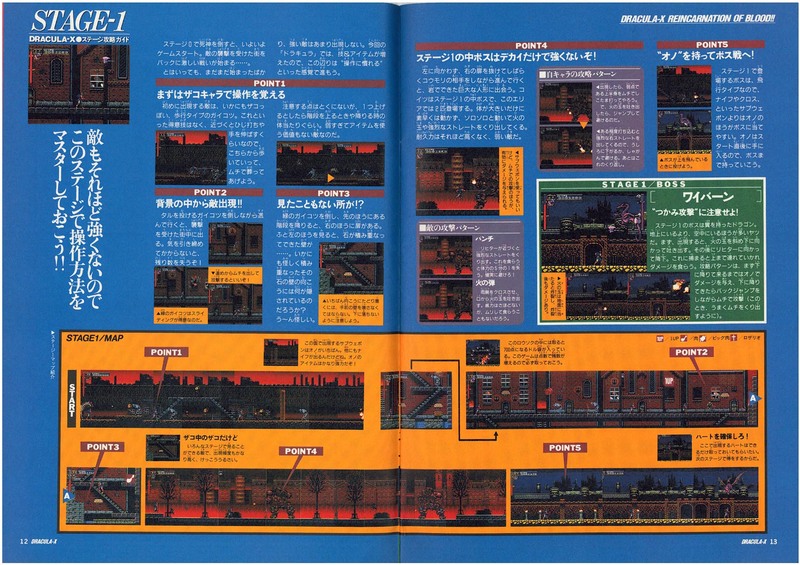 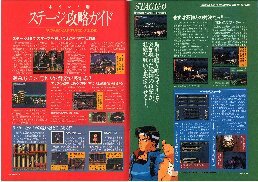 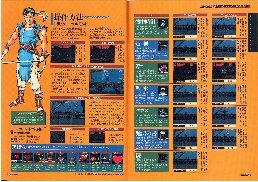 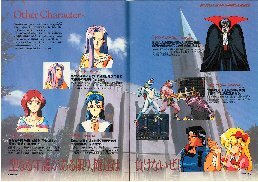 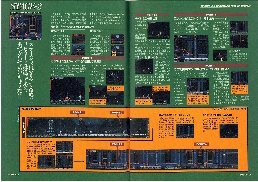 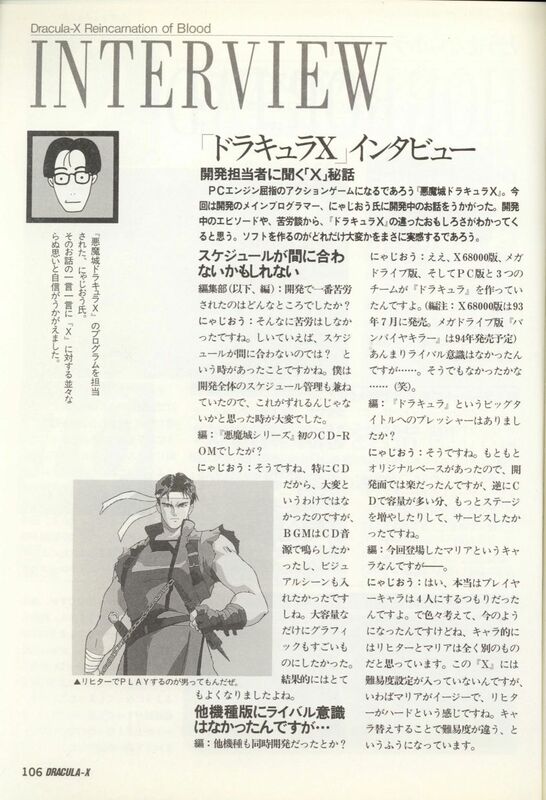 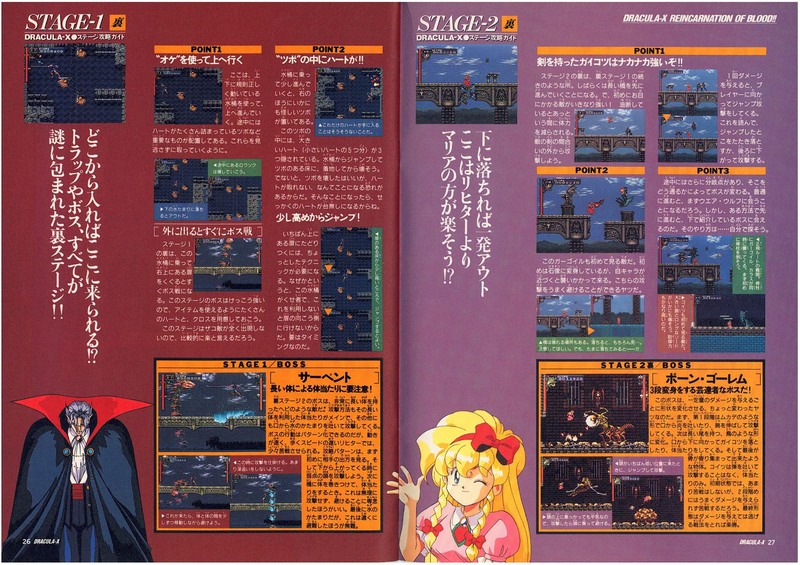 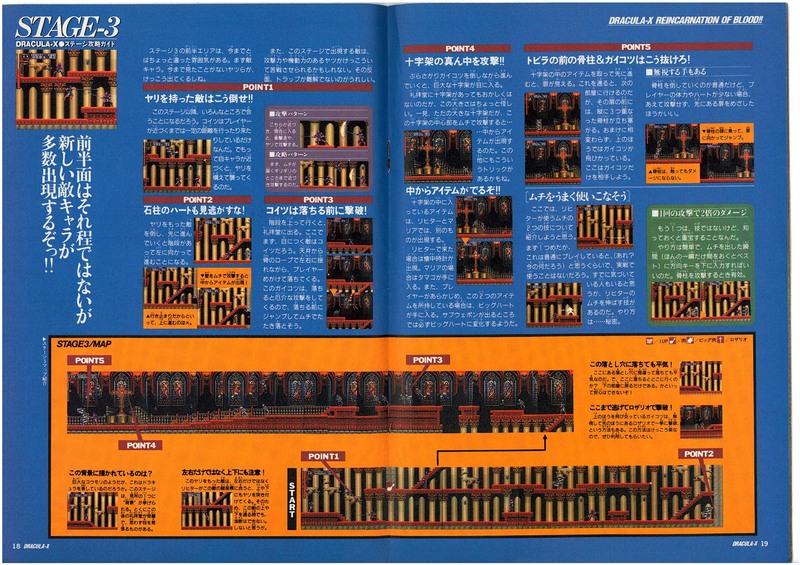 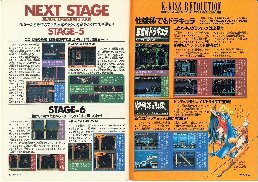 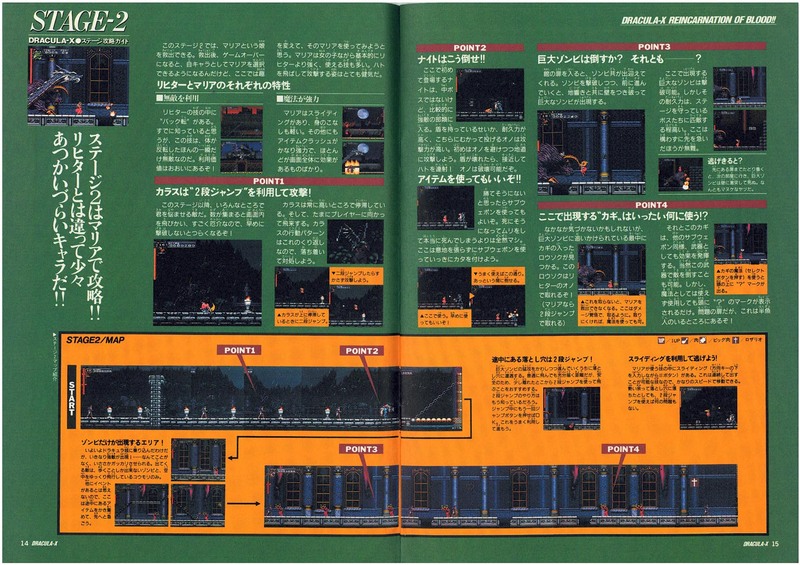 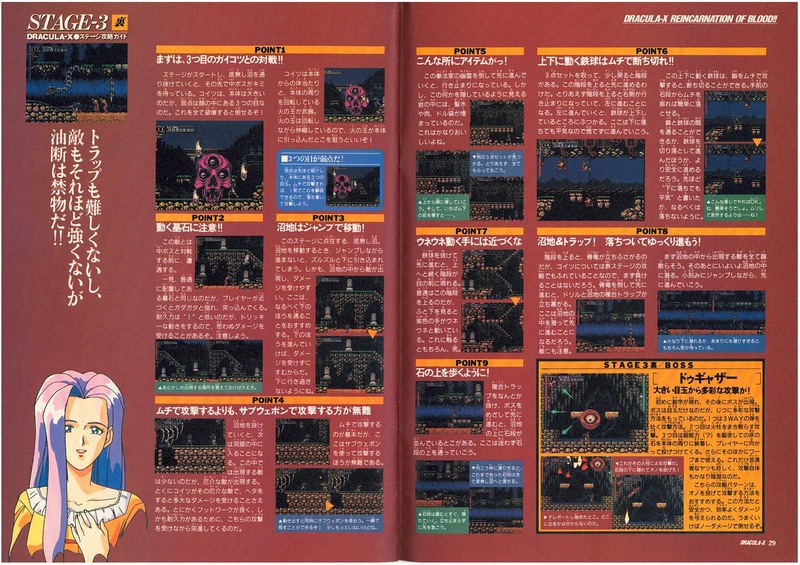 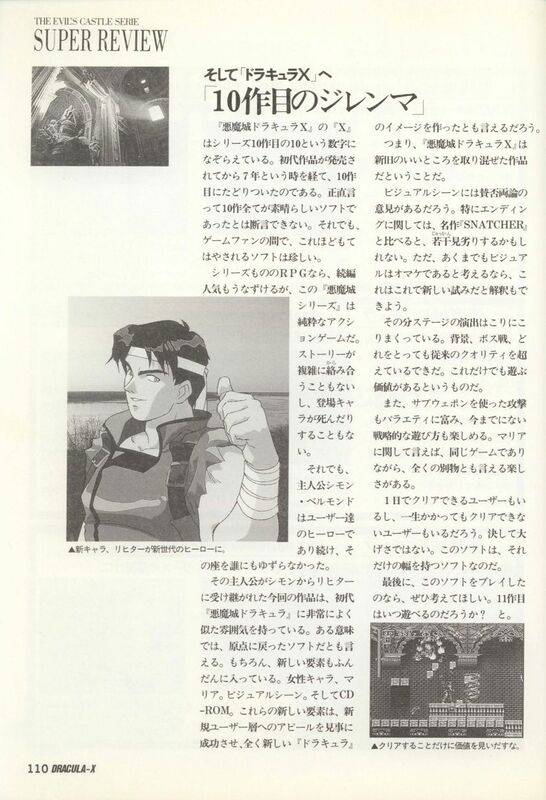 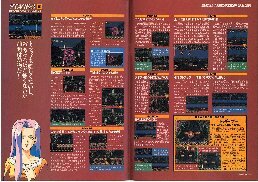 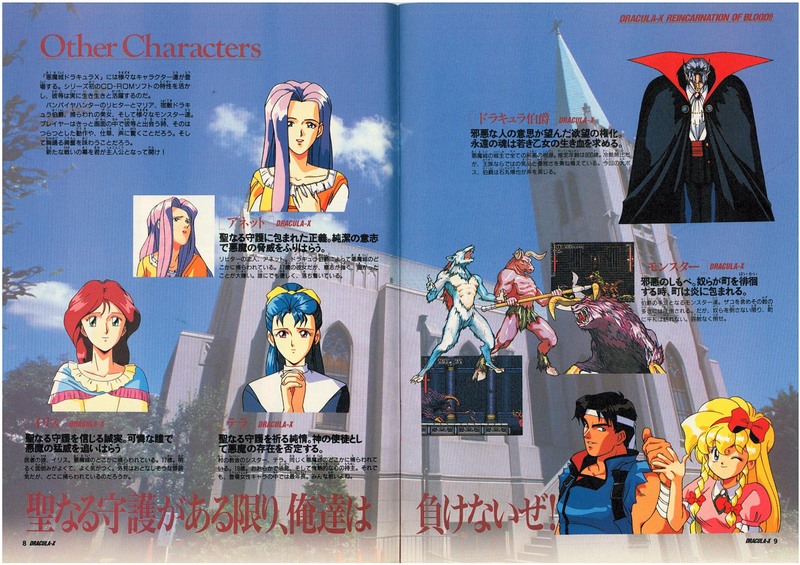 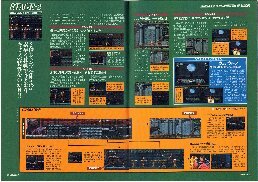 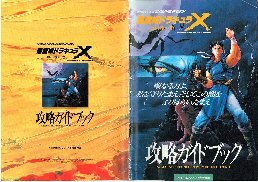 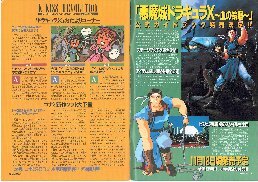 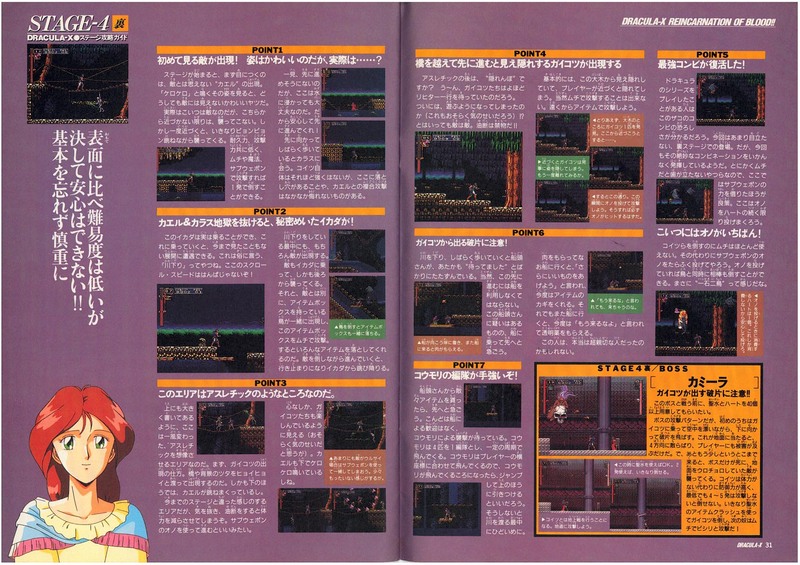 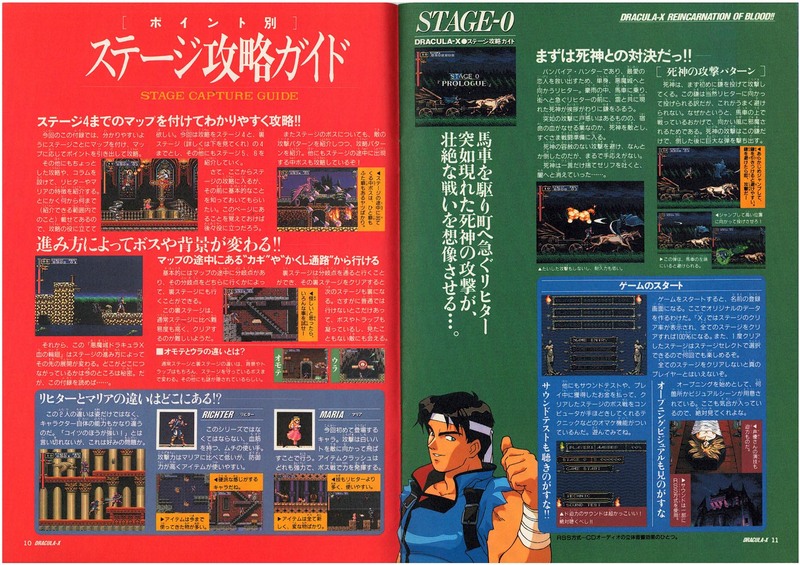 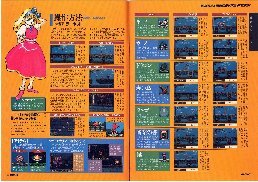 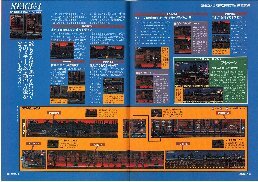 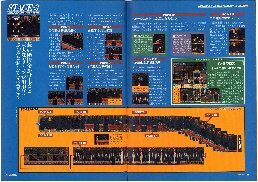 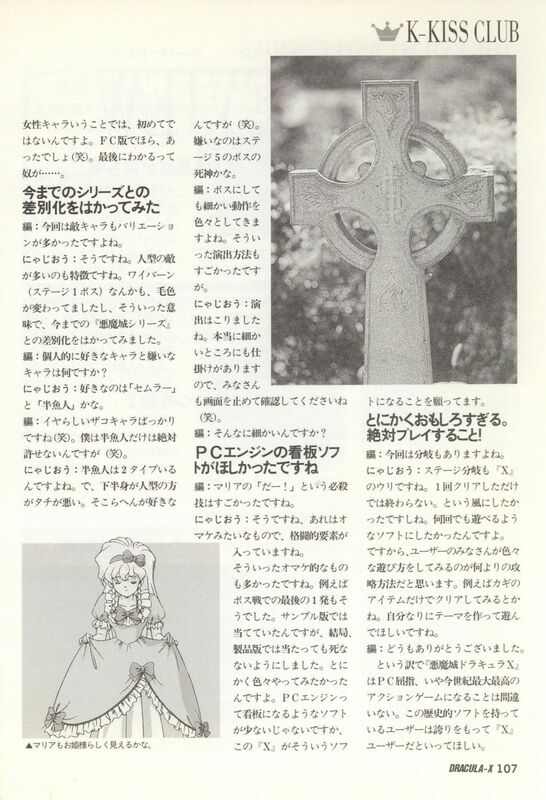 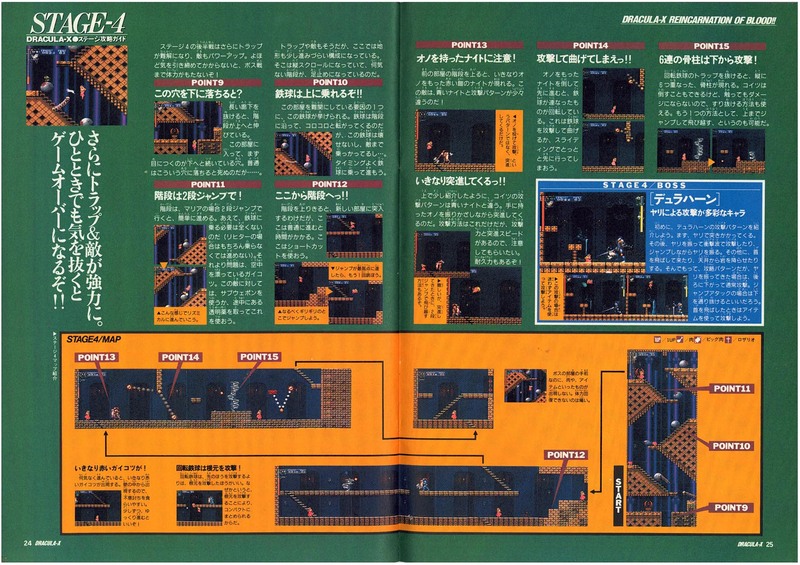 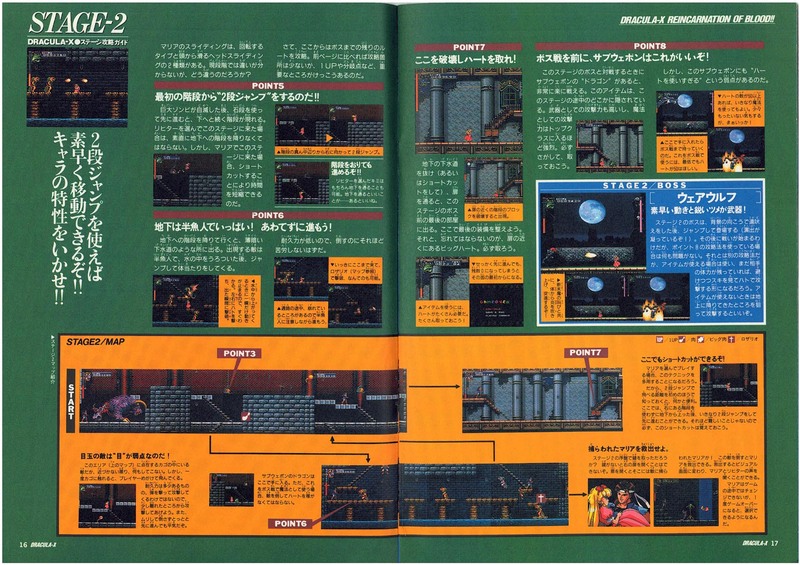 Konami made for the Japan-only Rondo of Blood an official guide book (with a strategy guide appendix) to offer assistance and reveal the game's many alternate routes and secrets. 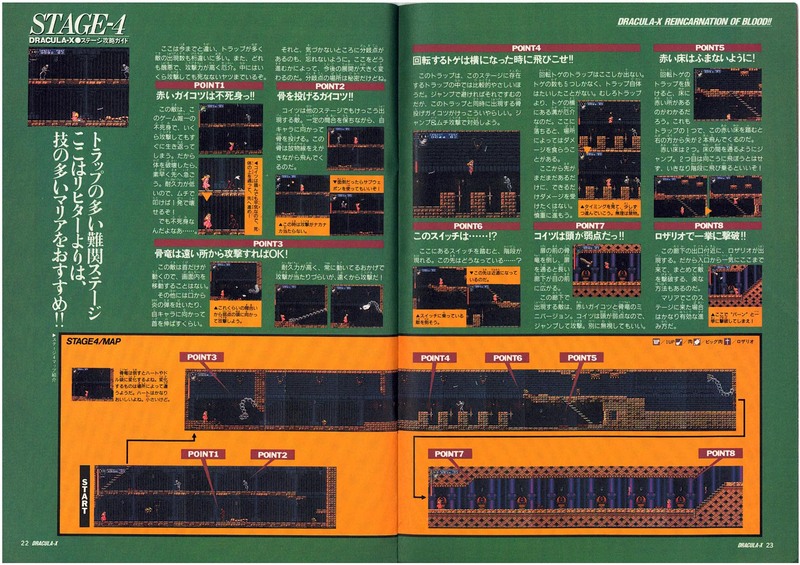 The art-heavy guide prominently features detailed maps and information on all of the characters. 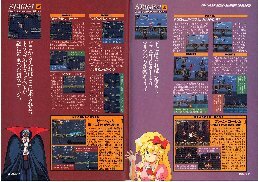 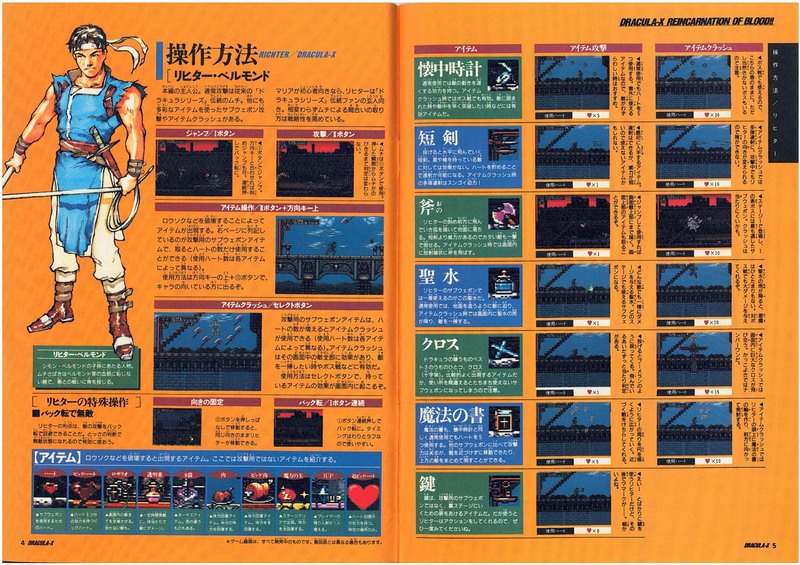 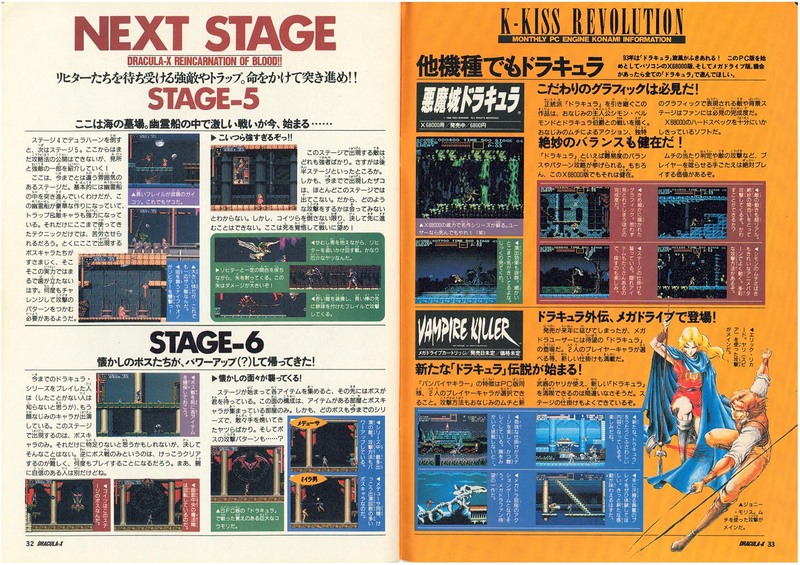 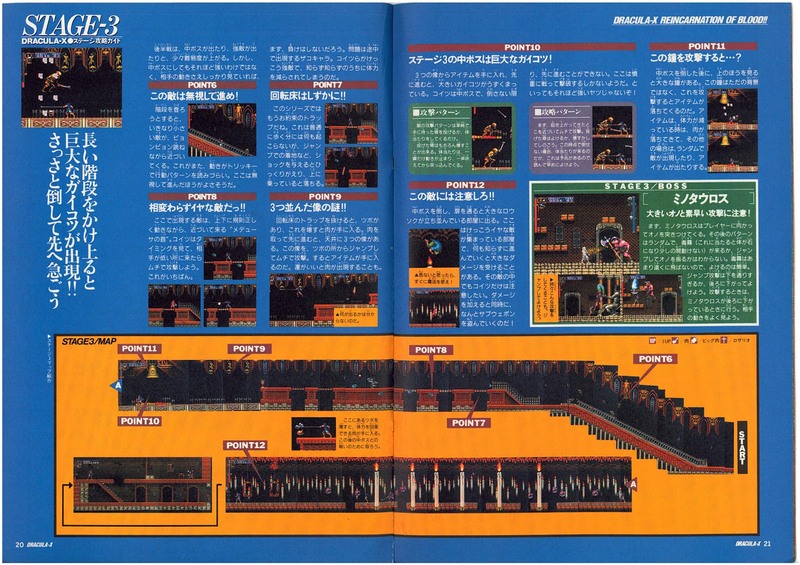 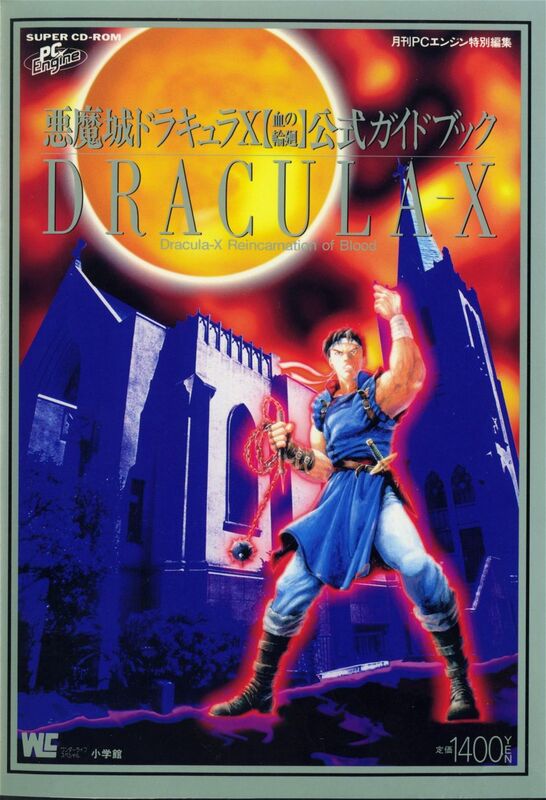 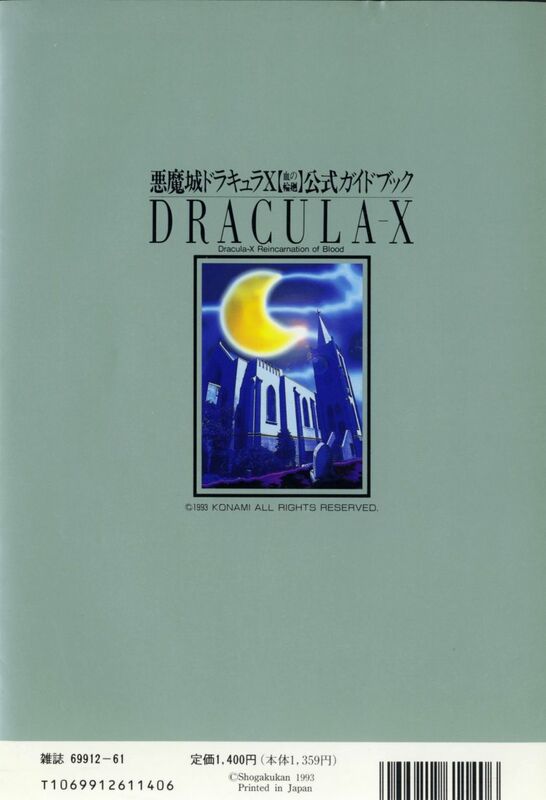 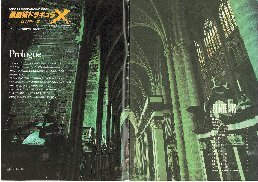 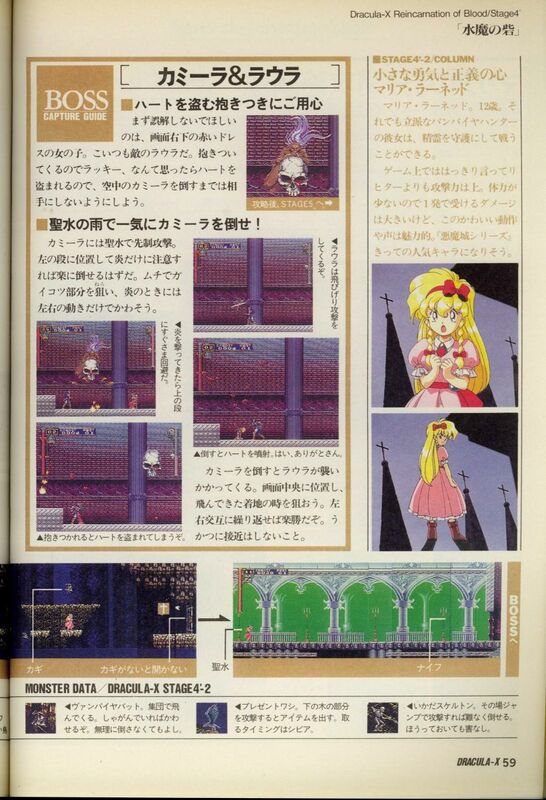 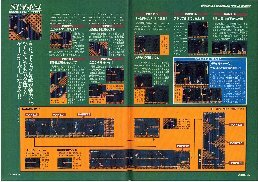 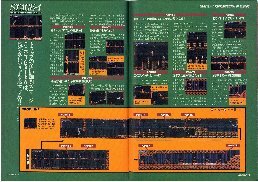 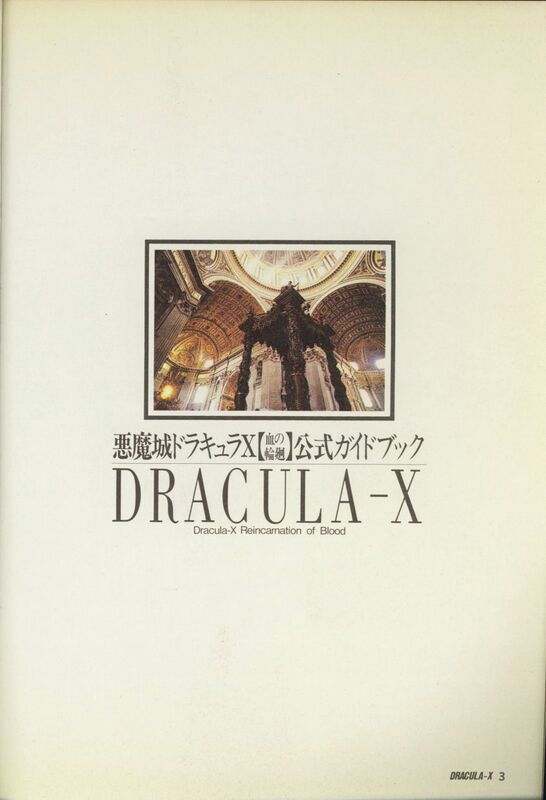 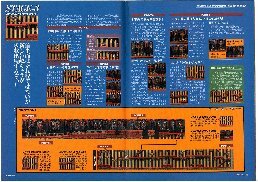 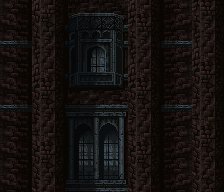 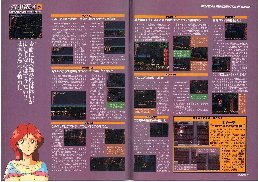 Of interest is one of the final pages, where it previews two future titles, Akumajo Dracula X68000 and Bloodlines, and shows what appears to be beta screenshots (such as John Morris battling a pillar-swinging minotaur where the fishmen should be). 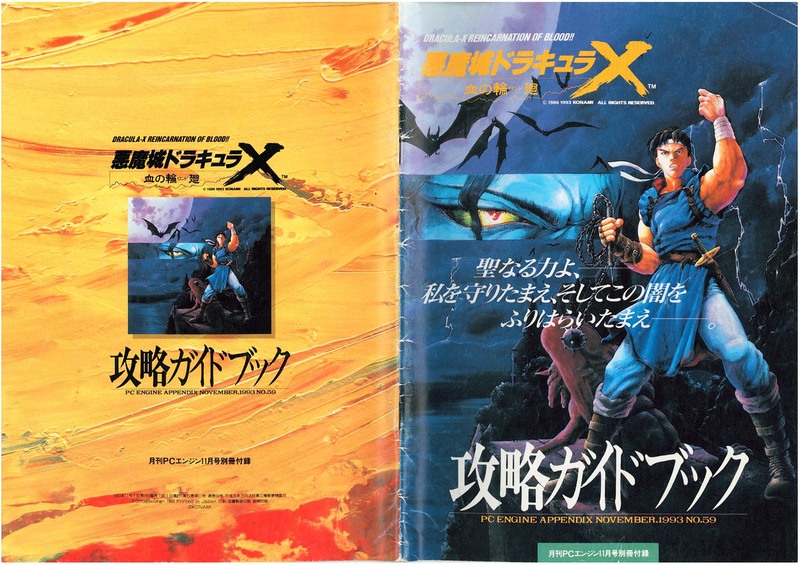 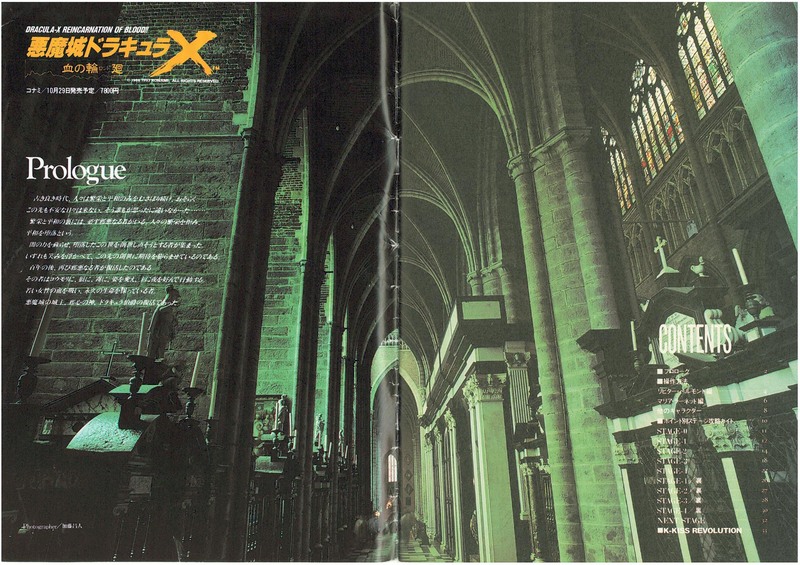 Appendix scans were contributed by Petros Koutoupis; Official Guide Book sample scans were contributed by JPCVFAN.